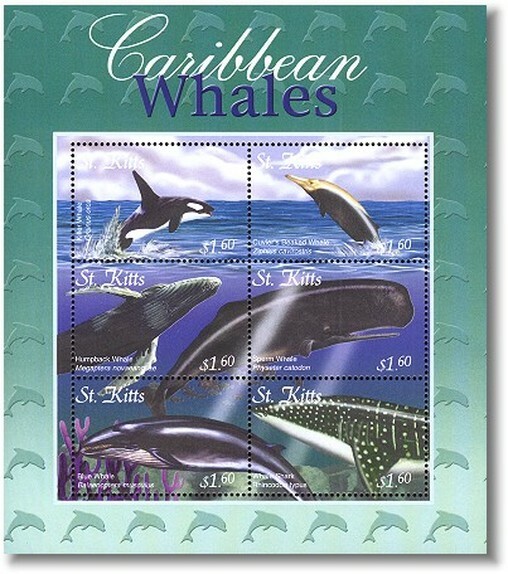 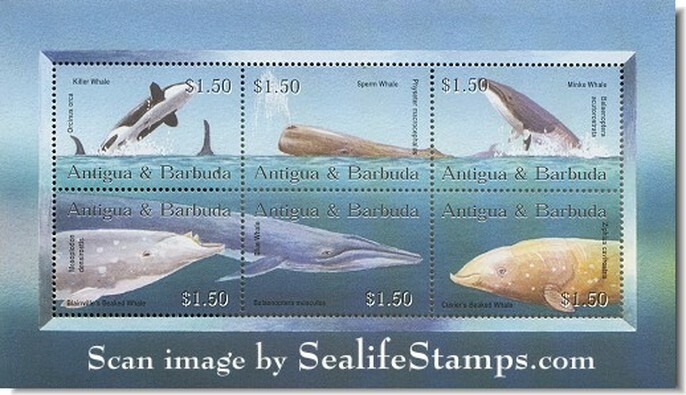 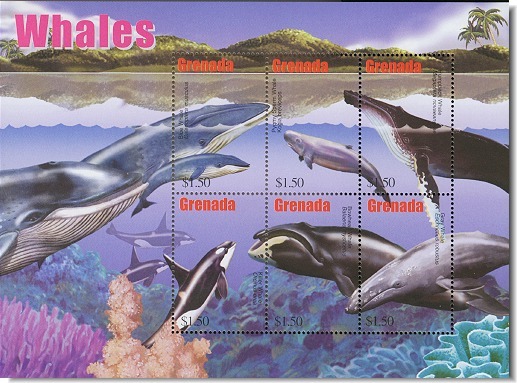 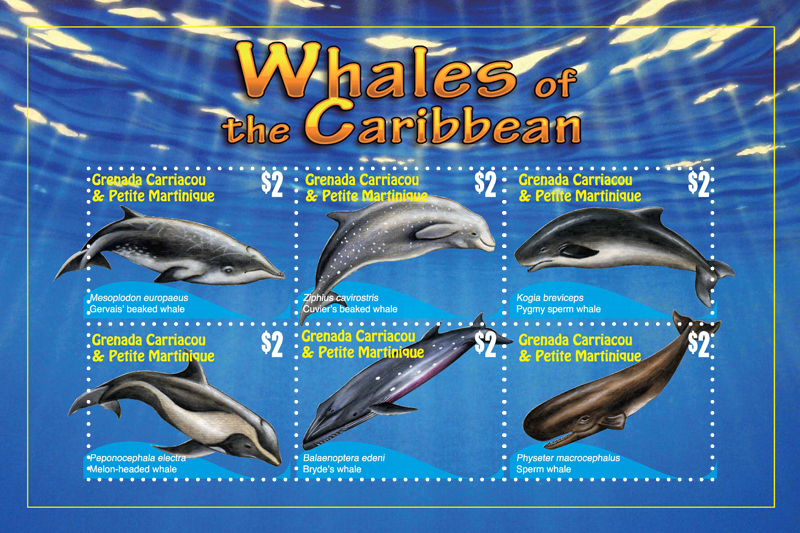 Several nations in the Caribbean have featured the whales and dolphins found in their waters on postage stamps, which can guide the identification of whales you may see while in Belize. 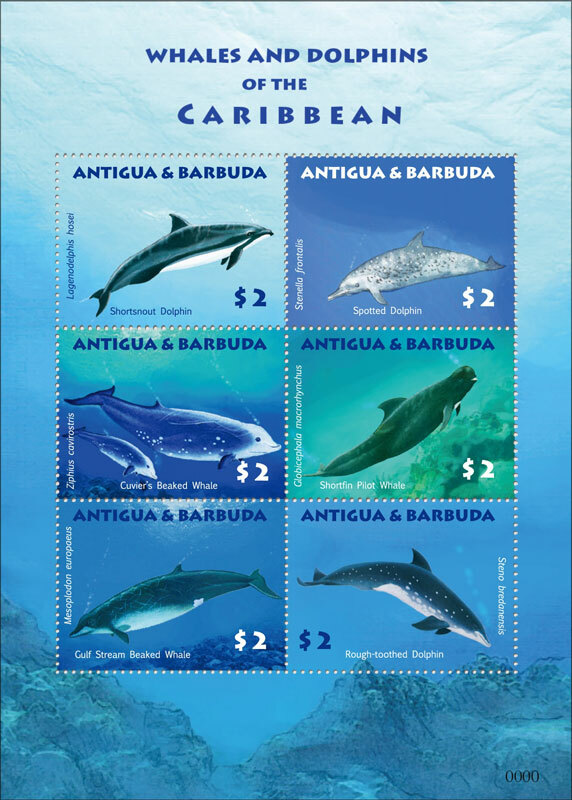 Presented below are stamps from the Caribbean listed in alphabetical order by country. To purchase stamps visit http://topical-stamps.com/ where many of these images of whale stamps come from! 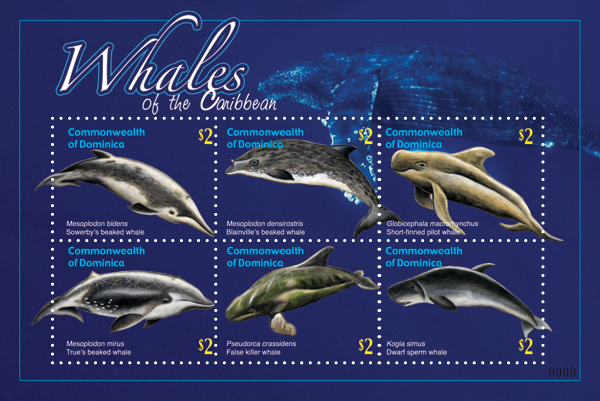 ​Take the quiz if you can identify the country that features a species that is not a marine mammal !